Unit is 117” wide x 82” deep x 127” tall. New arm/frame design with 62″ open, and 6″ closed arm gap. Unit features a banner light curtain on load side for operator safety. Clear acrylic guarding package on three (3) sides for operator safety. 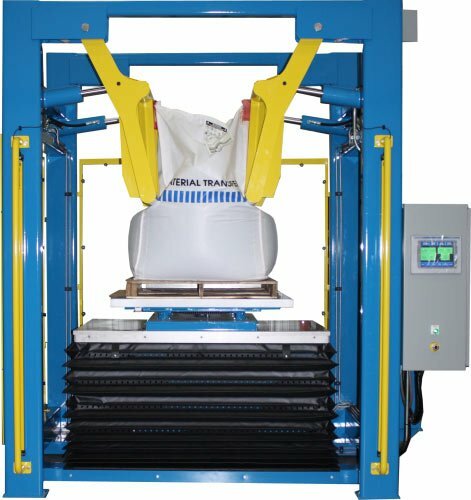 Automated control package includes an Allen-Bradley PLC with PanelView Plus Compact 1000 touch screen operator interface allows operator easy access to bulk bag and material conditioning parameters, system status, and manual mode controls.